Climb the Turoa side of Mt Ruapehu. Head up to the highest point in the North Island (Tahurangi Peak). Also a chance to get out the rope and climb Girdlestone Peak. Argubly the coolest peak on Ruapehu. Climbing meet at Tukino - come climb on our local mountain staying at the TASC lodge. Traverse the world famous Tongariro Alpine crossing in the coolest and most unique way: in winter, by moonlight! Avoid the hordes! This is winter crossing in a harsh and unforgiving alpine environment - you must have suitable (at lest 3/4 shank) mountaineering boots, well-fitting crampons, an ice axe and knowledge of correct use. Dates are flexible with possibility of doing the crossing overnight Fri or Sun to ensure best conditions. Contact the trip coordinator for more details. A great opportunity to find likeminded people and enjoy some spring ski touring adventures with them. The meet will be based at Tukino Lodge on Mt Ruapehu and offers exploration of Ruapehu's wild side, away from the busy ski fields. Please note this is not a led trip, so when on the meet, groups will need to be able to look after yourselves when away from the lodge. Please contact Mac with any questions. Are you a mountain lady? Looking for a fun, easy-going trip with like minded women? We have the trip for you! 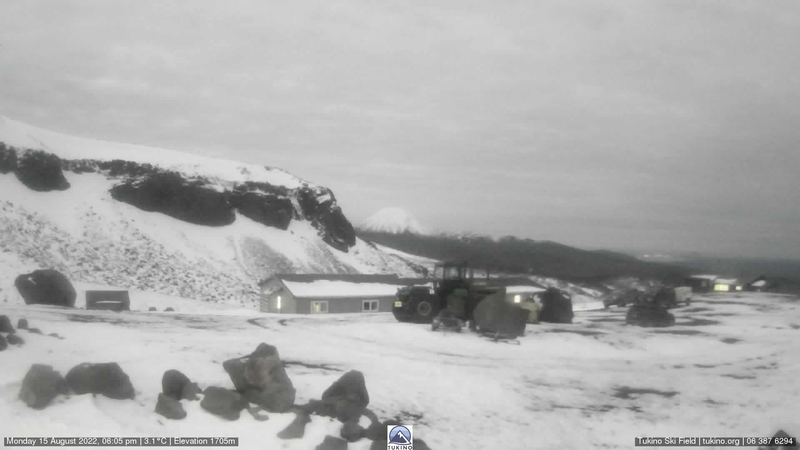 We will be staying up the mountain at the NZAC Delta Ridge Hut at Whakapapa (Ruapehu). The plan is to summit Mt Pyramid and perhaps another peak on the second day depending on the weather gods. This will be a relaxed, fun trip and a great way for us ladies to mix and mingle with one another and start planning the next trip! If you’re keen please contact the trip coordinator Rachel for more details. Are you a graduate Snowcraft or a budding climber looking to bed-in your skills? Join us for the 2018 Grad Trip - based at the NZAC Delta Ridge Hut at Whakapapa, Mt Ruapehu. We'll aim to conquer several of Ruapehu's many peaks. Snowcraft 2018 grads get first dibs on this trip, but others are welcome too if there's room. Contact Phill Davies ascent.phill@gmail.com to book your spot or if you have any questions. Are you a mountain woman? Looking for a fun, easy-going trip with like minded woman? 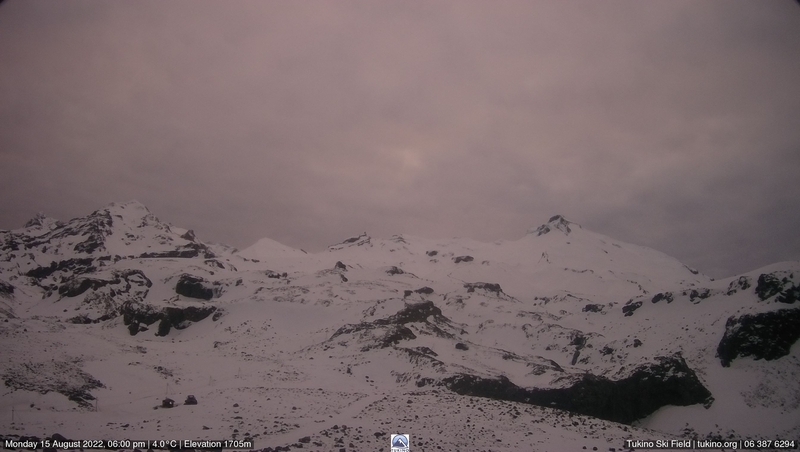 We will be staying up the mountain at our Ruapehu Hut on Whakapapa. The plan is to summit Mt Pyramid and hopefully another peak on the second day depending on the weather gods. This will be a relaxed, fun trip and a great way for us ladies to mix and mingle with one another and start planning the next trip! Do the Tongariro Alpine crossing in winter under the moonlight. Dates are flexible with possibility of doing it on the Fri or Sun night if the conditions on the Sat don't look good. Cost: $89 for the weekend (this covers accommodation, breakfast and lunch on Saturday and Sunday, and Saturday night's dinner). This is a climbing meet so you are expected to organize your own climbing partners and transport to TASC lodge (4WD plus snow chains required!). The event organiser will get an email notifying them of your booking. They will confirm your booking.Payment instructions will be on the Booking email. Email receipts of payments will be sent. You will be sent information relating to the meeting by email closer to the weekend. See http://climbnz.org.nz/nz/ni/tongariro/mt-ruapehu/tukino for information about climbs. Come a climb Mt Taranaki with us. Based at the amazing the Tahurangi Lodge high on Mt Taranaki. This meet is about organising people to get to the mountain and meet like-minded people, but once you leave the hut the individual groups are basically on their own and need to be able to look after themselves. Based at Tukino lodge, explore the wild side, away from the busy ski fields. Contact the event coordinator with any questions. Based at the Ruapehu hut the new Snowcraft 2016 grads get first dibs on this trip, but others are welcome too if there are room. Drive down on Friday night, and walk up to the hut. The Annual North Island Ice Climbing Meet. Bringing NZAC members from around to country to sample the North Island's Ice on Mt Ruapehu. Based at the Tukino Lodge. Climb the ice located within 10 mins walk from the lodge. Could it be any easier?! Contact Eric Duggan (021 350 161) or ericduggan@gmail.com for more information. See http://climbnz.org.nz/nz/ni/tongariro/mt­ruapehu/tukino for information about climbs. To register online here, and click on NZAC Events at Tukino. Celebrate the shortest day of the year on Mt Ruapehu. The National Climbing Camp is being hosted by the Wellington section with support from the Tukino Alpine Sports Club (TASC). It will be based at the TASC lodge at Tukino ski field on Mt Ruapehu. day walks while others will venture into the surrounding mountains or further afield (e.g. Whanganui Bay, Tongaririo Crossing) for multiday adventures. There is a large range of easy to moderate trad climbing already established and potential for a lot more. There are also some moderate bolted routes and a number of high quality hard bolted routes at the 'Wall of Sound'. There is also potential for a lot more bolted routes! Non climbing family members are welcome as well as members of overseas alpine clubs and FMC affiliated clubs. The lonely mountain. Come climb one of the North Islands highest peaks, staying in the luxury of Tahurangi Lodge. Come Ski touring on the wild side! We will be staying at the MUAC hut. Do the Tongariro Alpine crossing in winter under the moon light. Build a snow cave, then spend the night in it! Depending on conditions and weather we can build the snow cave(s) on the summit plateau. Snowcrafters should defo come to this! Based at the Ruapehu hut the new Snowcraft 2015 grads get first dibs on this trip, but others are welcome too if there are room. Now in its 8th year, the Southland Section are pleased to host the annual Darrans Winter Climbing Meet, based, as always, at Homer Hut off the Milford Road in Fiordland. Climb water ice from the comfort of Tukino!